The BMW K100 is a motorcycle that BMW created to take the fight to the surge of inline-4 Japanese motorcycles that were pouring into Europe and every other developed region from the late ’60s onwards. 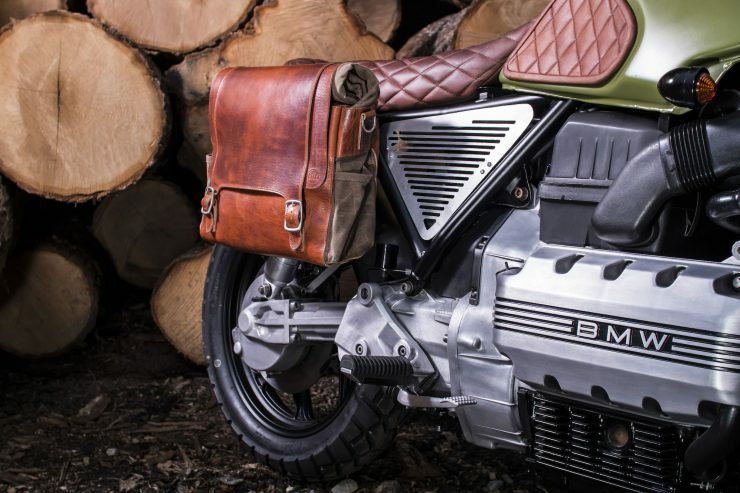 Rather than just installing an inline-4 transversely in the frame as had been done before, the engineers at BMW lead by Josef Fritzenwenger developed a prototype motorcycle with a longitudinally mounted line-4 that was laid on its side, the with crankshaft on the right at the head on the left. 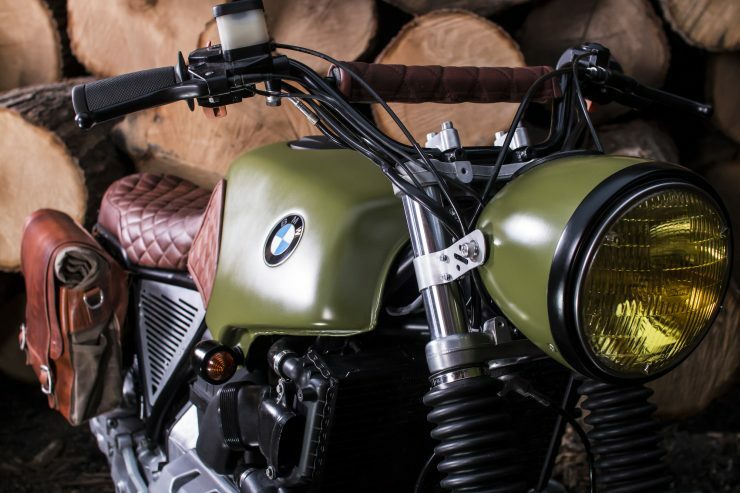 Once this layout had been approved, work began developing a new engine with a capacity of 987cc, double overhead camshafts, fuel injection and a shaft drive that runs inline with the crankshaft on the right side of the bike. 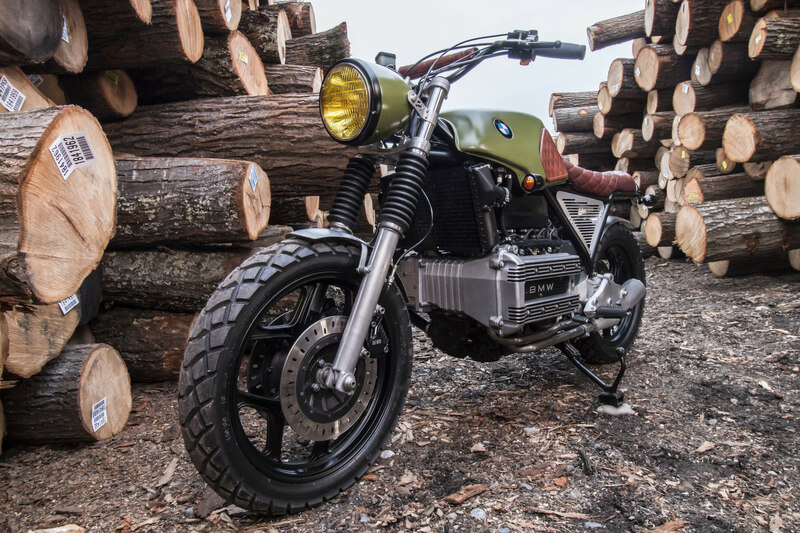 This arrangement meant that there only needed to be a single bevel gear to get the power from the gearbox to the rear wheel – reducing mechanical drag and potential failure points. 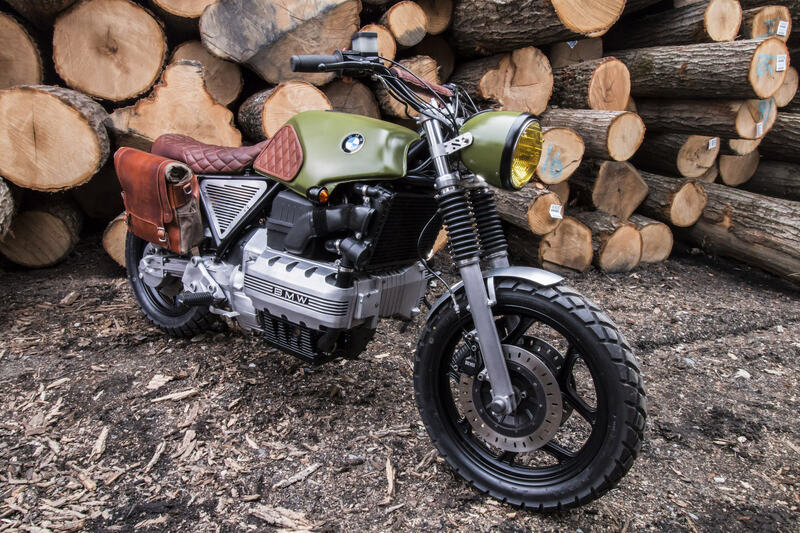 When it was released in 1982 the BMW K100 was moderately successful, but it saw more and more popularity as time went by and consumers warmed to the idea of a BMW motorcycle that wasn’t a boxer twin. 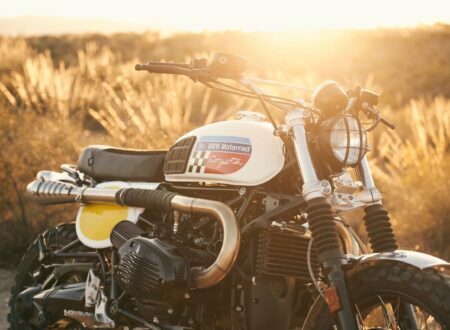 Today the K series bikes are some of the best vintage cruisers on the market and then’ve been rebuilt into everything from cafe racers and bobbers, to scramblers and flat trackers. 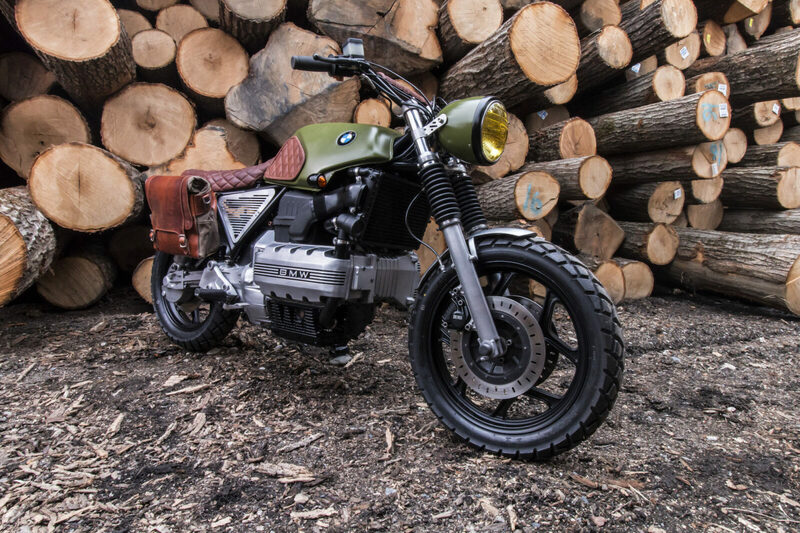 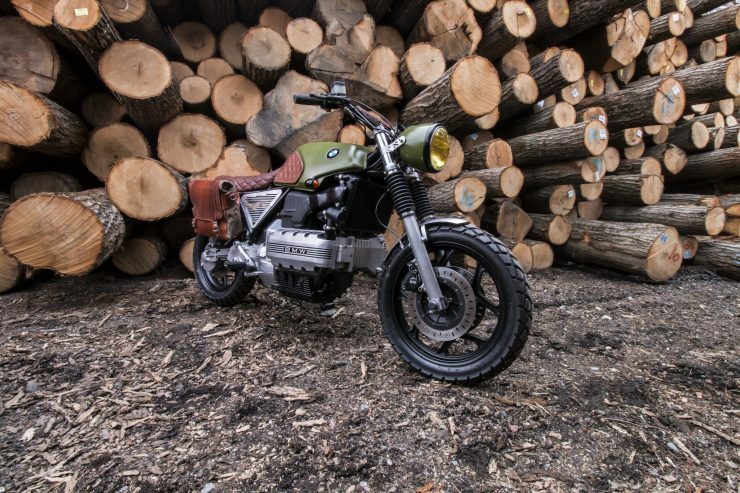 The K100 you see here is the work of Vintage Steele, a custom motorcycle garage based in Vermont. 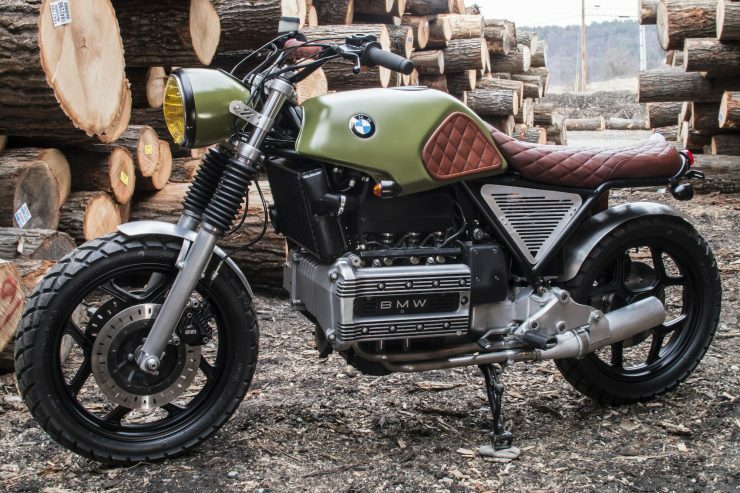 They accepted a worse-for-wear K100 in a trade for a another bike, and it was one of the roughest examples of a K series they’d ever seen. 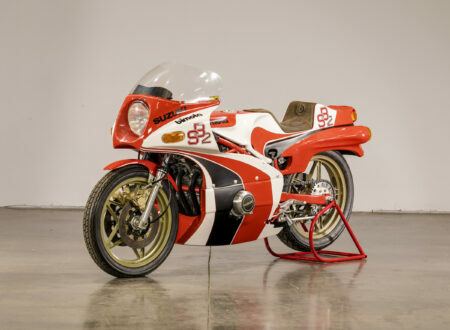 It had stickers on it from Alaska, Florida, and Vermont, and one of the previous owners had bolted plastic toolboxes to the frame as luggage space and the fairing had been hacked off and replaced with a piece of angle iron. 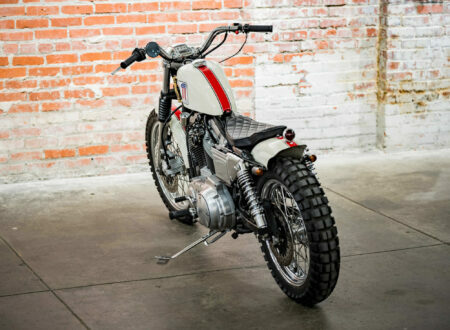 The team at Papa Wolf Supply Co approached Vintage Steele about building a custom for The One Motorcycle Show. 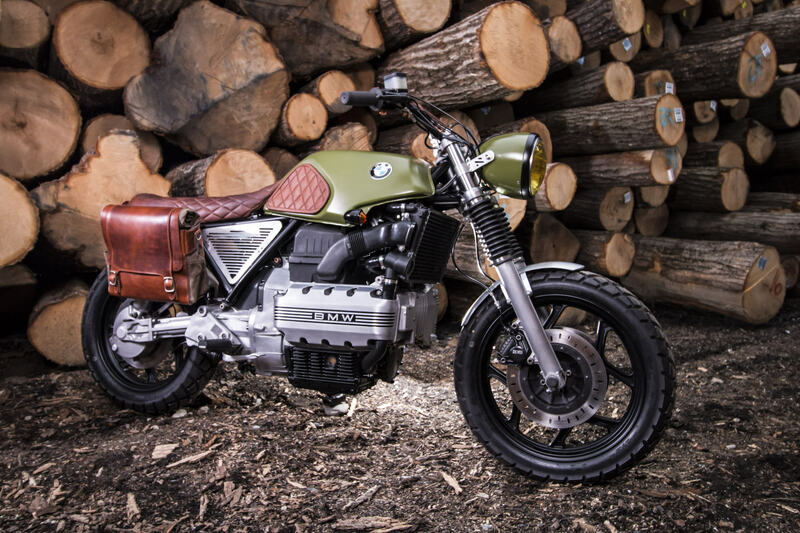 They agreed to the idea of a K100 scrambler and so the tear down process began, it took a lot to get the decades of botched repairs and questionable improvements. 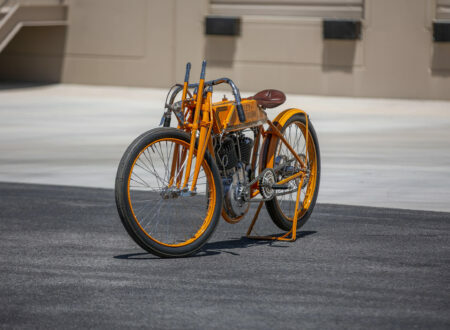 Once the bike was sorted the rebuild began with a frame powder coated by Matt Hyde, the original tank was kept in place with new paint by Pat DeSalvo – who also painted the new headlight from Benjie’s Cafe Racer. 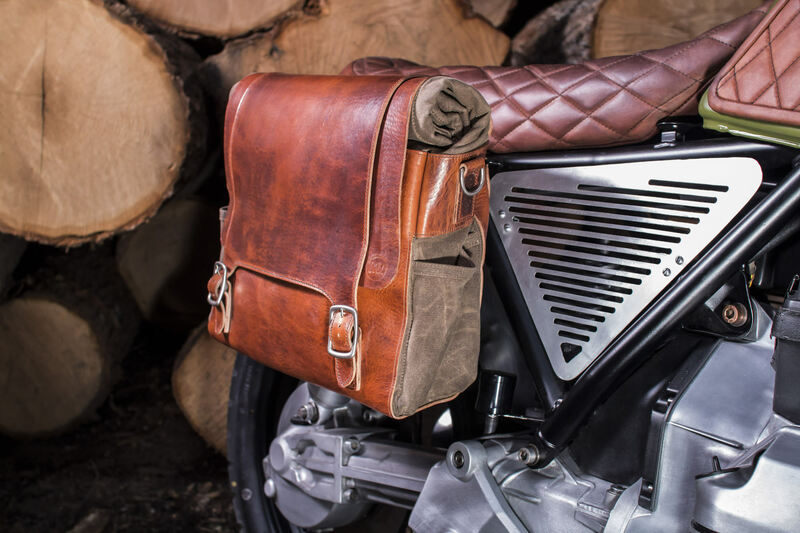 A new pannier bag was made by Lyle Leathers with a matching seat, tank knee pads and handlebar pad by Jeff Tatum. 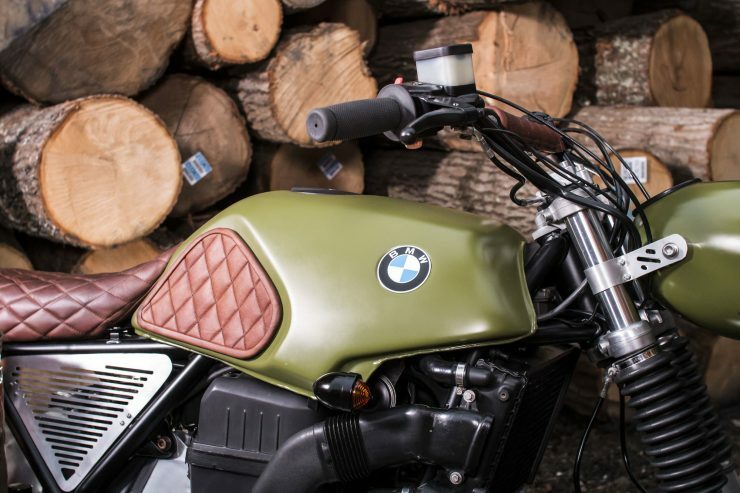 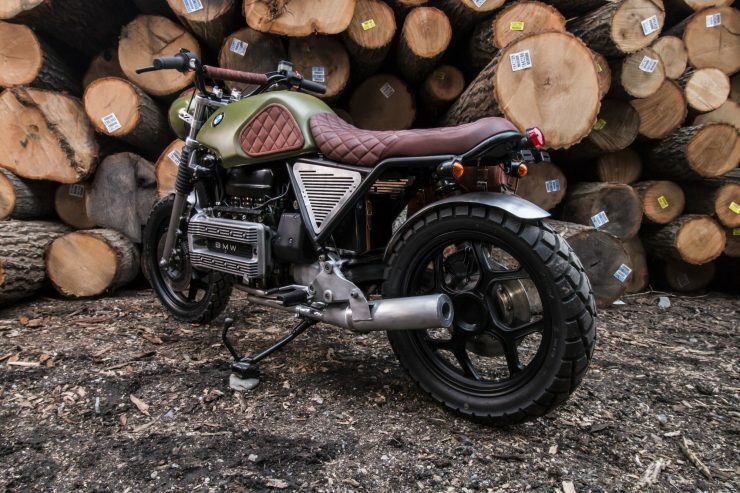 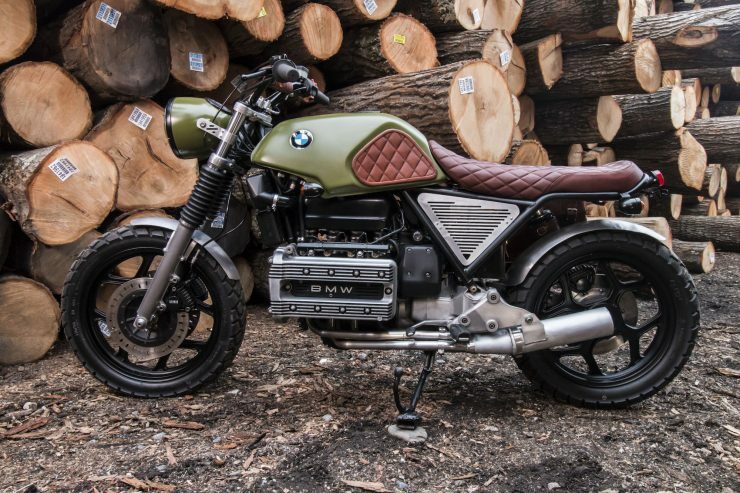 The finished bike is probably the best K100 scrambler we’ve seen so far, and I suspect it’s going to inspire a number of similar builds considering how affordable K series BMWs are in most countries. If you’d like to see more from Vintage Steele you can click here.